860 Stereo Amplifier audio amplifier from Boulder Amplifiers, Inc.
Hi-Fi Amplifier > 860 Stereo Amplifier > Boulder Amplifiers, Inc.
Over the past 25 years, Boulder Amplifiers has evolved from a manufacturer of state-of-the-art professional studio equipment to become the premier manufacturer of high performance home entertainment electronics in North America. With the release of the 860 Stereo Amplifier, we have completed a lineup of power amplifiers unrivaled anywhere in the world. 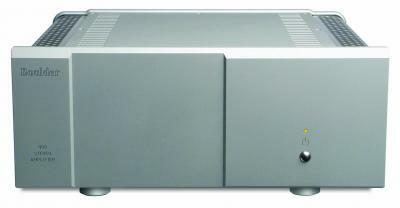 860 Stereo Amplifier > Boulder Amplifiers, Inc.